Amazon has Set of 36 Valentines Pencils for $7.99 with free shipping. 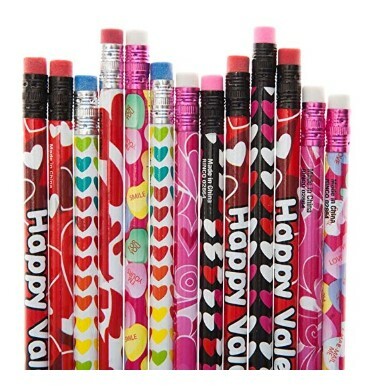 Pack includes 36 Pencils in assorted Valentine’s Design. Each measures approx. 7.5″ long. Great for party favors! Prices in this post were current at the time of writing. Prices can, and may, change without notice. Please verify the price before ordering. The NEW Giant Ad Scan For 04/26/19 Is Here!